Home The NewsMill Spontaneous shutdown, clashes in Awantipora against youth’s custodial death. Spontaneous shutdown, clashes in Awantipora against youth’s custodial death. 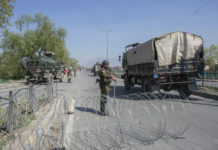 Amid a spontaneous shutdown, clashes erupted between youth and government forces in Awantipora area of south Kashmir’s Pulwama district on Tuesday following the custodial death of a school teacher.All shops and business establishments were closed while traffic went off the roads in the area, reports said. A youth identified as Rizwan Asad of Awantipora in Pulwama died in police custody in Srinagar during the intervening night of 18 and 19 March.Witnesses said thousands of people thronged the residence of deceased youth soon after the news about his death reached the area. Meanwhile, authorities have suspended the Internet service on mobile phones as a “precautionary measure” to prevent spiralling of tensions.The deceased was a private school teacher and was detained by forces in connection with the Lethpora attack case three days ago, reports said. 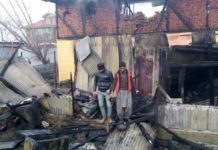 Previous articlePulwama youth’s custodial death ‘unacceptable’: Omar. 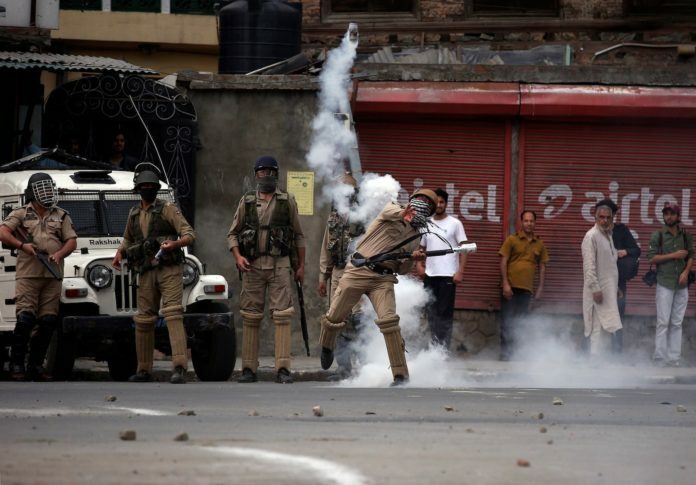 Next articleCentre misusing NIA to target Kashmiris: Soz.